e-xpress Interactive Software Pvt. Ltd, India’s leading video games distributor is pleased to announce that Pro Evolution Soccer 2017 is available for pre-order for PlayStation 4 and Xbox One for just ₹ 2,999. The PlayStation 3 and Xbox 360 versions are priced at ₹2,499, while PES 2017 on PC is available for pre-order for ₹ 999. 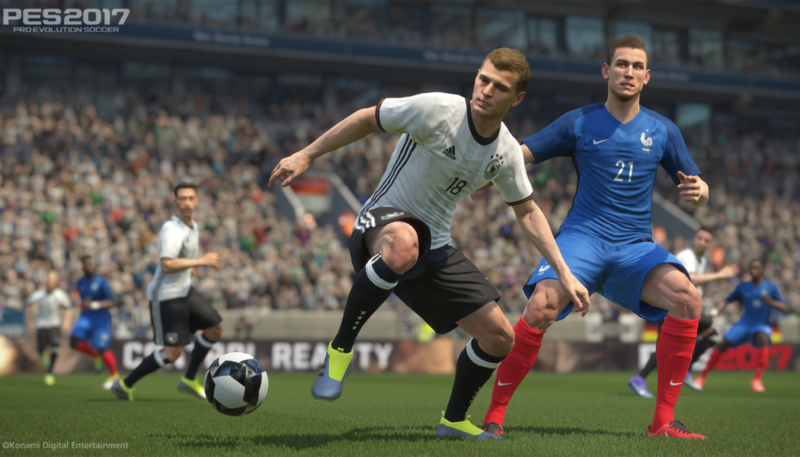 Pro Evolution Soccer 2017 is releasing on 15th September, 2016 for PlayStation 4, PlayStation 3, Xbox One, Xbox 360 and PC. The game is available for pre-order with all leading retailers, both online and offline.